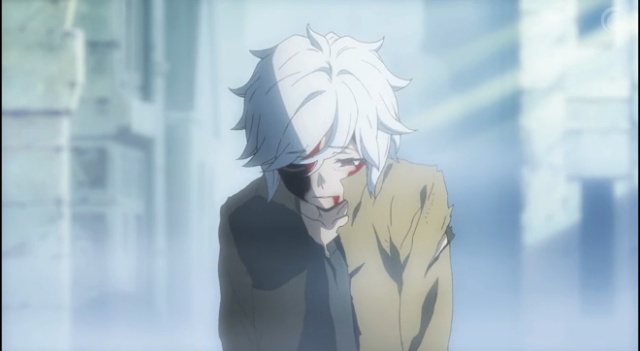 One of the most interesting aspects of the anime adaptation of DanMachi is that studio J.C Staff decided to completely skip the dreams Bell has right at the beginning of the story about saving girls and having them all fall in love with him. In the novels Bell changes his way of thinking after meeting famous adventurer Aiz Wallenstein, so it’s not a bad choice for J.C Staff just to cut the nonsense from the beginning and focus more on Bell’s feelings for Aiz and his desire to become stronger and protect those around him. Yes, this truly becomes a more interesting fantasy story then perhaps I first thought it would be. Bell is the only adventurer in his small Familia belonging to goddess Hestia. Familia in the world of DanMachi are a lot like the guilds you’d see in video games but despite being a small Familia Bell likes it here and quickly gains some new friends during his adventures so our Familia slowly begins to grow. 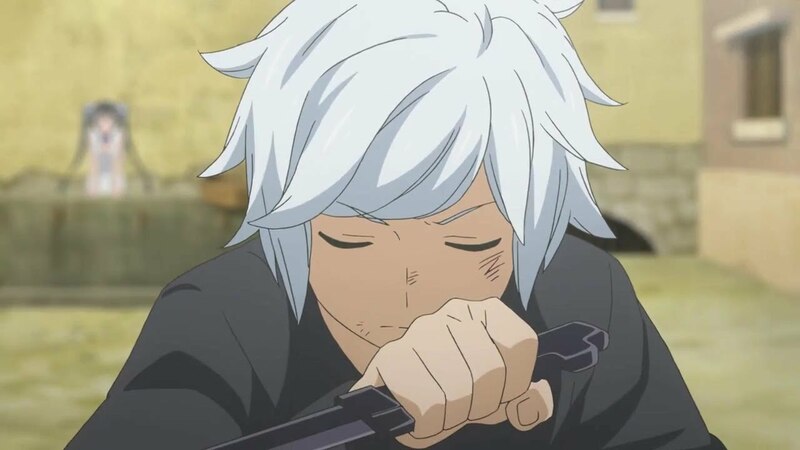 DanMachi has a fairly big cast of characters and a number of different Familia in the world which leads for some interesting plots as we learn a little more about each and how different they can be depending on who happens to be in charge of said Familia. Of course the Familia aren’t the main focus of DanMachi, because Bell is. After being saved by Aiz and humiliated he has a craving to get stronger and stand by her side and we soon discover that Bell has a special ability that helps him grow as long as he has the drive to do so. This doesn’t lead to him being an overpowered character like perhaps you’d think he’d become though, as all the strength Bell gains is from hard work. His stats grow at an almost alarming rate but you can never say he doesn’t deserve it considering the amount of work he puts into his training and exploring the dungeon. All the exploring of the dungeon leads to some truly impressive fight scenes and I have to say J.C Staff have worked wonders on DanMachi in this regard. Fights are smooth and highly detailed and brilliantly animated, especially for the fight that happens in the very final episode. 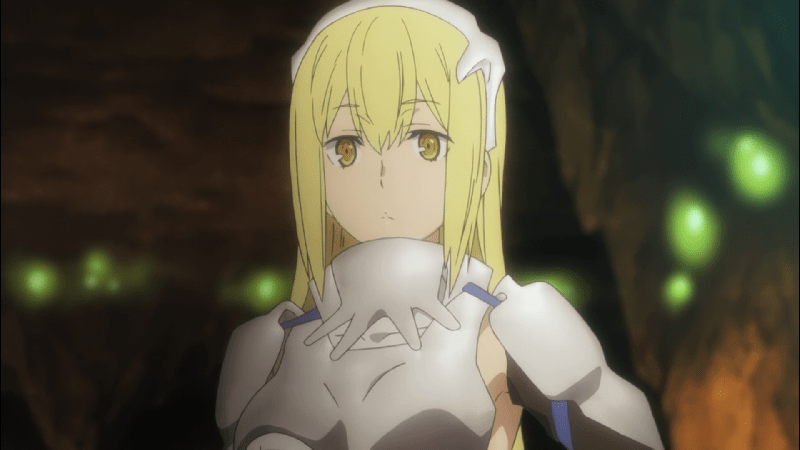 The studio seem to have cut a fair bit from the books for their adaption but beyond one issue I’ll explain in a moment it hasn’t hurt the series that much, in honesty it almost makes it better than the novels because a lot of the fanservice that the series falls into very early on is no longer present, making DanMachi much more open to more anime fans than perhaps it otherwise would have been. The only issue is the big bad guy of the series. Without the bits of the novels that have been cut it feels like you’re missing out on their motive and why they’re so obsessed with Bell, and later on they seem to disappear completely whereas in reality they’re likely working in the background on some evil plot or another. It leads to an earlier arc being slightly confusing and the feeling later on that we’re missing something that the original source would have explained, but I think overall DanMachi manages to hold its own quite well regardless. What DanMachi does give us is a deeply fascinating fantasy story with strong characters and a fun story. It feels a lot like Sword Art Online in that there is always a lot at stake for Bell as he travels the dangerous depths of the dungeon, but the world is colourful and so full of life that you’ll never want it to end. Characters are developed steadily over time and by the end you’ll be truly cheering Bell onwards in his quest, especially with the utterly amazing episode the series finishes on. Overall the anime is a lot of fun and hats off to J.C Staff for everything they’ve done with it. It’s in need of a second series, and viewers will probably be going off to read the novels to fill in a few blanks after, but for the most part it reminded me why I love stories like these and I won’t be forgetting it for quite some time. 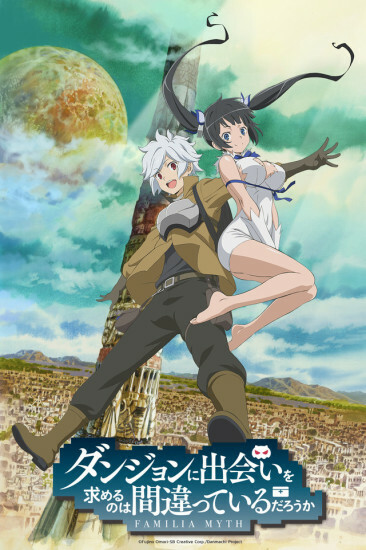 Is It Wrong to Try Pick Up Girls in a Dungeon? can be viewed over at Crunchyroll and Viewster.